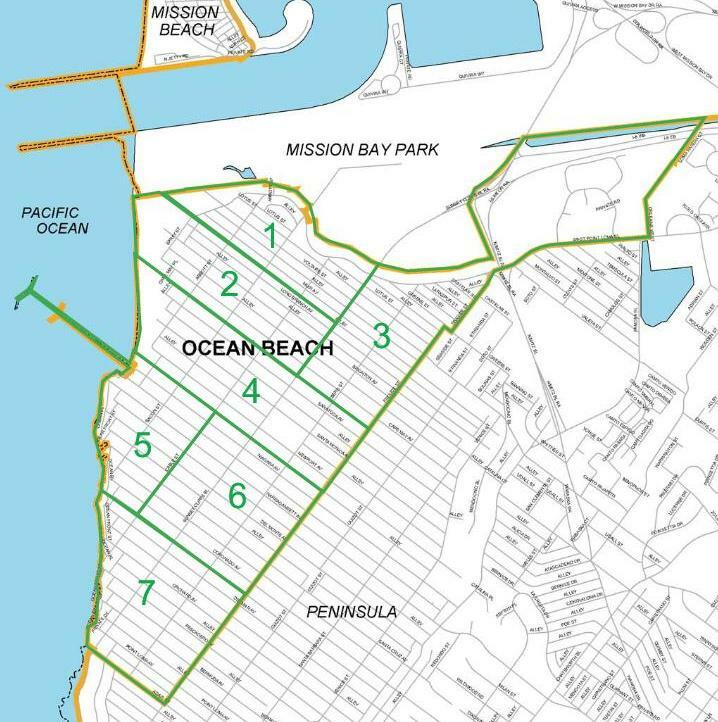 There are currently 5 vacancies on the Ocean Beach Planning Board, a Board made up of 14 members, two each from OB’s 7 planning districts. The recent annual election in early March only seated one new board member, and at the same time, 3 members left the board. Two were termed out and 1 is moving out of OB. Which means that there are vacancies in District 1, District 2, District 3, District 5 and District 7. It is anticipated that the 2 termed out members will be applying to be appointed to vacant seats in the near future. In fact, one has already collected his signatures, and expects to be appointed at the May board meeting. Often in situations like this, the Board makes appointments of eligible members to the vacant seats, even though those appointed do not live or own property or a business in the districts they are appointed to. And nearly just as often, those appointed to districts other their own, end up running for a seat in their own district during the next election cycle. This allows seats to be filled and for new members to gain valuable experience. Normally there are 2 year terms for each seat of the volunteer board. Those individuals eligible for appointments still must collect the required signatures of folks living or owning businesses or property in the district for which they are applying. Serving on the Planning Board for OB is an invaluable lesson and experience in grassroots democracy dealing with the nitty-gritty of urban planning and in the goings-on of the development world. Over the course of the last 40 years, hundreds of OBceans have served on the board, making recommendations to the City and monitoring the state of the community’s infrastructure. Plus OB has one of the longest-serving planning boards in the city. Newer Article: City Council Races Beg the Question: When is a Democrat Not a Democrat?